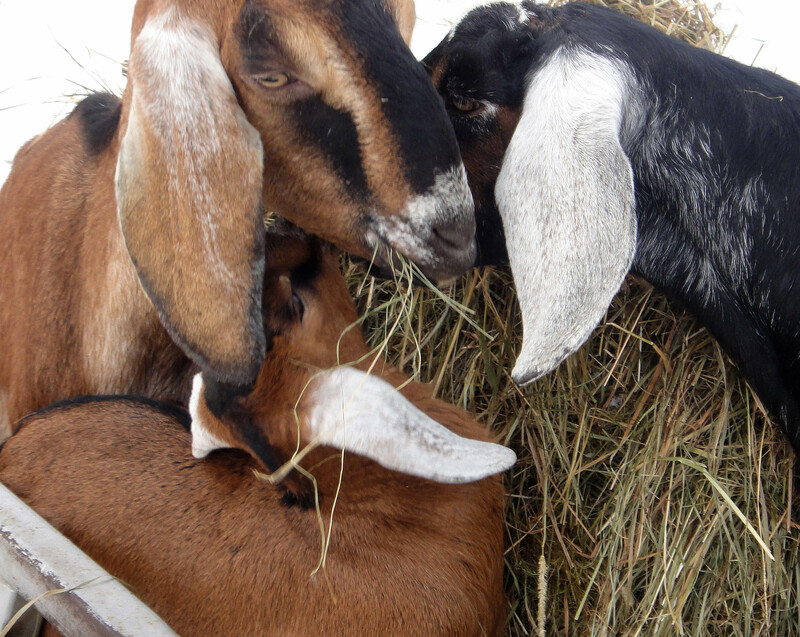 Tipsy Toad Soaps are made with whole goat milk courtesy of our little herd of miniature nubians. 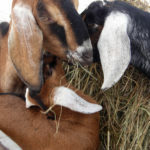 Goat milk contains exfoliating Alpha Hydroxy Acids, Vitamin A, and Selenium, which is believed to play an important role in fighting skin cancer. Because the essential fatty acids and triglycerides in goat milk are about the same PH as human skin, they are less irritating and more easily absorbed than many other moisturizing agents. In everything we produce at Tipsy Toad Grove our philosophy revolves around doing what is good for the body, the community, the animals with whom we co-exist, and the planet. We think it’s important to maintain ethical and sustainable standards. Therefore our soaps and body products use ingredients that we source locally when possible, and if we have to get our ingredients from other regions, we do our best to make sure that they are Fair Trade, organic, and sustainably produced. The soaps we sell are the soaps we use. Living with allergies and chemical sensitivities, Sue began making body products for her own use to avoid the chemical overload delivered by so many commercial products. We strive to keep our products as natural as possible. We make small batches of everything as needed so that we don’t require preservatives in most of our items. Our colours are micas and oxides, and our scents are essential oils… no synthetics here. Our natural body products and soaps are made especially for our sensitive and abused skin, but they’re suitable for skin of every persuasion. We are constantly adding new products and changing “flavours” and colours -there is always something new to try. We also do custom bulk orders of guest-sized soaps, perfect for bed and breakfasts and inns, or unique locally-made wedding favours. Custom packaging and labeling is available for these orders. 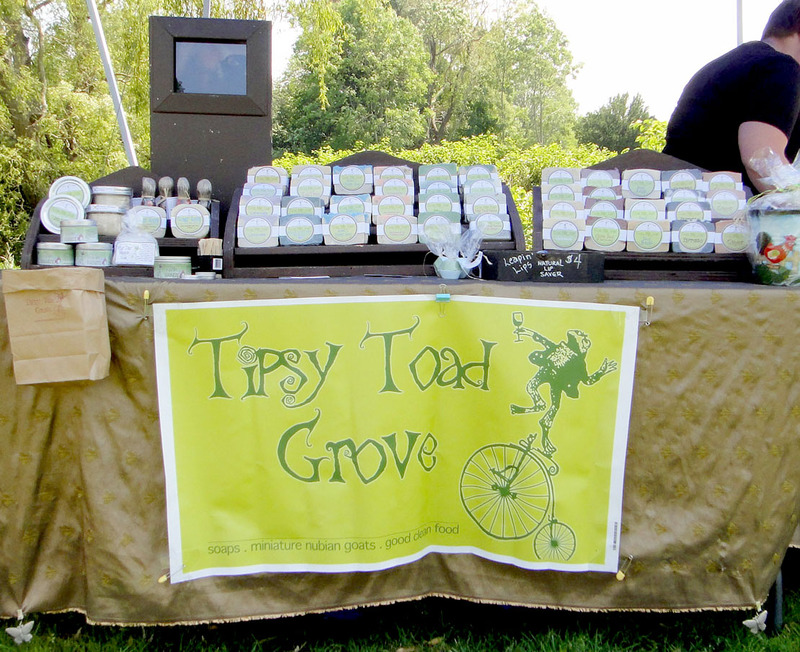 Check out our products and order online at Tipsy Toad Soaps.com. 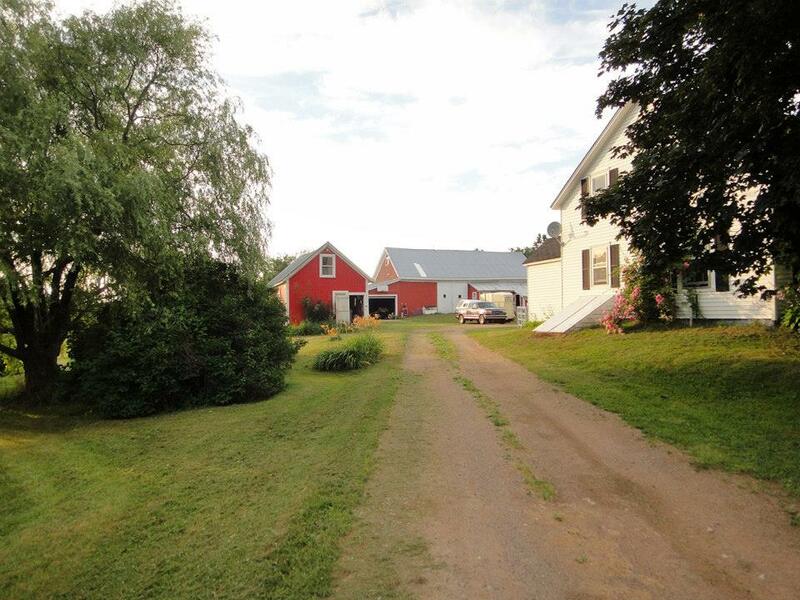 We sell our products weekly at the Wolfville Farmers Market and the Kentville Farmer’s Market. You can also find select products at D’aubin’s Family Meats in Bridgetown. 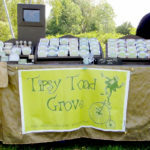 All our products are available for purchase on our e-commerce site at Tipsy Toad SoapsWe frequently participate in craft shows and festival venues across Nova Scotia. 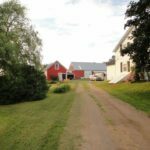 FREE DELIVERY IS AVAILABLE BETWEEN MIDDLETON AND KENTVILLE, AND ON OCCASION AS FAR AS HALIFAX OR PICTOU. Email Sales@Tipsytoadsoaps.com to make arrangements.